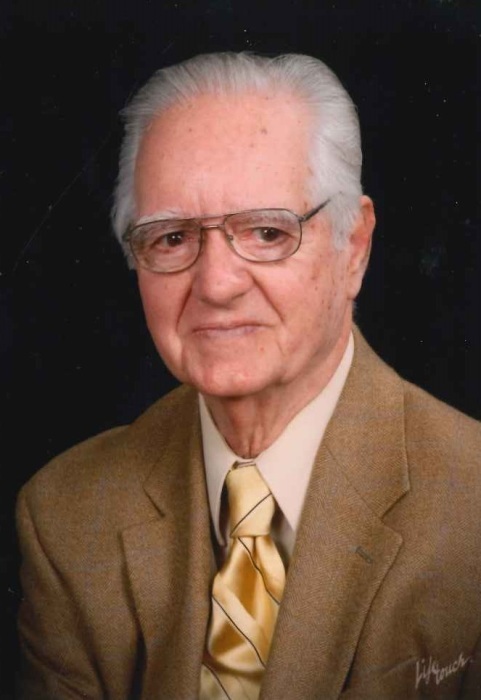 Emory Herschel Reeves, beloved husband, father, grandfather and great-grandfather, died Monday, December 3, 2018 shortly after his 90th birthday. A lifelong resident of the Winterville area, he was a son of the late James Booth Reeves and Eula Chandler Reeves. Mr. Reeves was a barber for more than 65 years. He owned and operated Five Points Barbershop in Athens and later Reeves’ Barbershop in Winterville where he enjoyed friendship and conversation with his loyal customers for many decades. In addition to his parents, he was preceded in death by his daughter, Emily Reeves Ingram, sisters Mildred Fite and Betty Ann Wehunt, and brother James Reeves. Survivors include his wife of 70 years, Ann Carter Reeves; children Nancy Reeves Harrison, Jerry Reeves (Jan), Greg Reeves (Terri), Amy Reeves Coker (Mike) and Ric Ingram; twelve grandchildren and seven great-grandchildren. Mr. Reeves enjoyed antiques and coins, and was a longtime member of Winterville United Methodist Church. While he was the consummate “people person,” loving those from all walks of life, his heart lay first with his family. He demonstrated to them Christian kindness, generosity, and unfailing love. His most cherished moments were those spent at the many family gatherings that he and his wife hosted. Funeral services will be Friday, December 7, 2018 at 11:00 a.m. at Winterville United Methodist Church. Pallbearers will be Peyton Reeves, Chad Reeves, Clinton Reeves, Kenny Howard, Mark Yeomans, and Taylor LeBlanc. Carter Reeves will provide service music. The family will receive friends Thursday, December 6 from 5:30 until 8:00 pm at the funeral home. The family would like to extend their sincere appreciation to Mr. Reeves’ caregivers Tammy, Mia, and Alice.